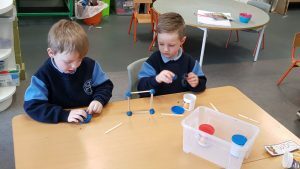 Science is a part of our daily life. 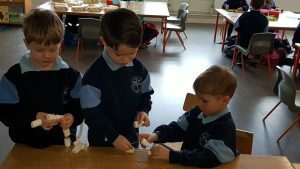 Everything we do and deal with in life is science from cooking, playing ball, growing a garden and understanding how technologies work to watching a rain storm. 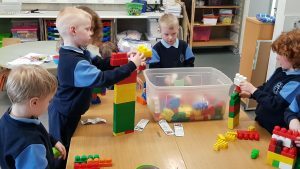 Science education teaches children more than just the basics of geology, biology, physics and chemistry. 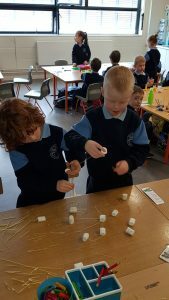 Science teaches children to make observations, collect information and to use logical thinking to draw a conclusion. 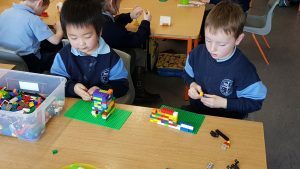 These skills are important for every part of our lives. 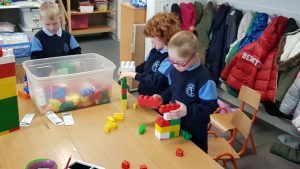 Engineers Week is a programme of nationwide events with the aim of celebrating the world of engineering in Ireland. 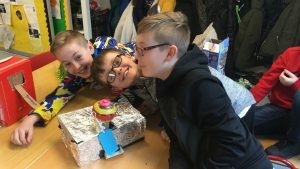 This week was an opportunity for everyone to raise awareness of the contribution of engineering to our society. 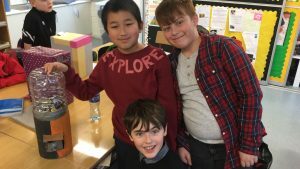 All classes took part in various lessons and activities connecting to engineering. 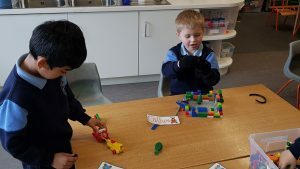 As it is the children in the school now who are the engineers of the future, we aim to facilitate their development through Asking questions, Imagining solutions, Planning and Creating – all with the aim of improving our world. 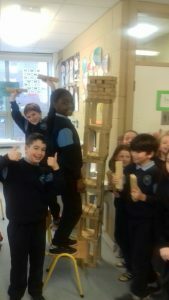 Well done to all the students and staff who took part in engineers week and made it so great this year. 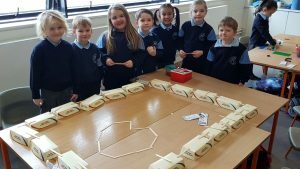 Hopefully we have inspired some budding engineers of the future! 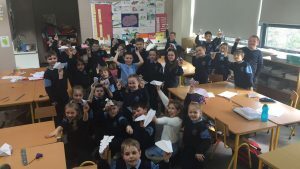 Ms Flanagan’s class worked hard designing their paper planes. 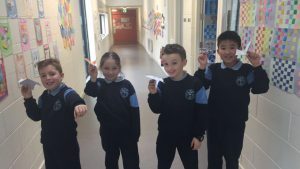 I wonder which flew furthest and fastest?! 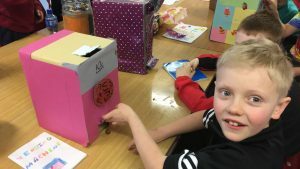 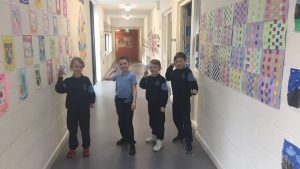 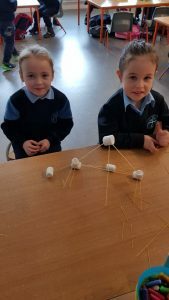 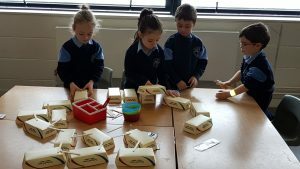 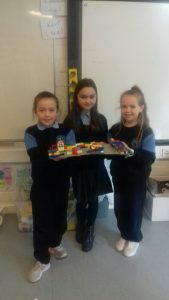 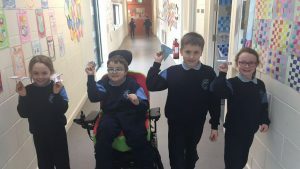 Mr Mulligans 4th class invented sweet machines – just in time for Easter! 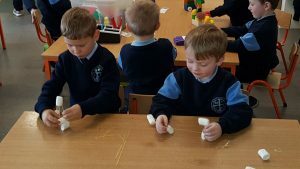 Our infant classes also took part, showing engineering is not limited to age or class level. 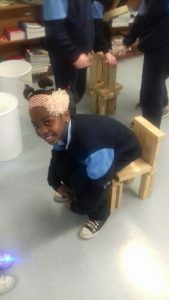 Intel judges came to our school to judge the mini scientist exhibition. 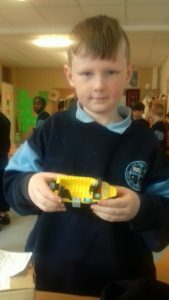 Check out the action below.